Japanese electronics giant Panasonic is teaming with Tesla Motors to build batteries for the American electric car manufacturer. Panasonic is expected to sign a contract this month to help Tesla construct a plant and produce batteries for its vehicles. Initial operations at the plant are scheduled to commence in 2017 and become fully operational by 2020. The facility will produce batteries for 500,000 vehicles annually. The American company had been seeking partners for the venture and plans to invest up to $5 billion in the joint project. Panasonic is to be the core participant, likely investing more than 200 million dollars. Tesla will invest $2 billion in the factory, while the construction will require $4–$5 billion. The rest of the fund will be provided by Tesla’s partners. Tesla is considering other potential investors, such as suppliers of raw materials for the investment. Panasonic and Tesla signed a deal in Oct 2013, under which Panasonic will increase the supply of battery cells to 2 billion in the 4-year timeframe till 2017. Panasonic has supplied 200 million cells to Tesla in the last 2 years. 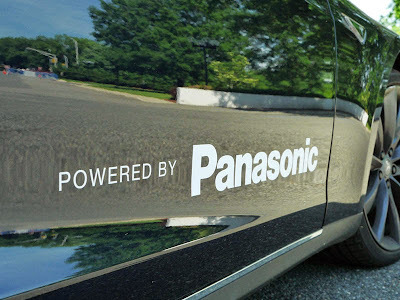 In addition, Panasonic doubled its investment for auto batteries to $275 million this year. Panasonic will utilize this additional investment to boost the domestic production of the small lithium-ion batteries for Tesla. The collaboration ultimately boosted the earnings of Panasonic's lithium-ion battery section into the black for fiscal 2013. Tesla Motors anticipates selling 35,000 Model S vehicles this year, a 55 percent increase from 2013. The company is also planning to release the Model X, an SUV type electric vehicle, in 2015. The new factory is expected to ultimately boost the number of batteries sold to Tesla Motors. Panasonic is seeking to increase sales in its EV battery cell sector to 4.5 billion dollars in fiscal 2018. That goal would be a 3.5-fold increase from fiscal 2012. The company is expanding its battery operations in the hopes of establishing it as a core business. Panasonic's household electronics business previously held that position, but sales have stagnated in recent years.